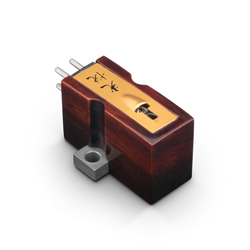 The Koetsu Rosewood is a cornerstone of high-performance analog playback history. By carefully selecting ultra high purity materials and aging parts to perform optimally, Sugano-san formed a cartridge that recreates real breathing music extracted from the grooves of your record collection. The Koetsu Rosewood Signature Platinum features rare platinum magnets and silverplated 6N copper coils usually reserved for Koetsu's stone body cartridges. It's the perfect choice for those lusting after a stone model but require a cartridge with less mass or simply prefer the look of rosewood.